In a remarkable constellation of successes involving the federal government, a U.S. District Court judge ordered Immigration and Customs Enforcement to pay the Immigration Clinic over $16,500 in attorney fees and three U.S. District Court judges and the Immigration Court awarded post-graduation clerkships to three Clinic students. Under the Equal Access to Justice Act (EAJA), federal courts can order the U.S. government to pay attorney fees and costs at the end of a civil case. In the case Jeune v. Candemeres, students won their client the right to a bond hearing after she was held for over a year in immigration detention. After granting the case, U.S. District Court Judge Cecilia Altonaga ruled that the government’s position was not “substantially justified” and ordered that the U.S. government pay EAJA fees. In a string of successful bids for post-graduation clerkships, Immigration Clinic students have landed clerkships in federal and administrative courts. Joshua Truppman, JD ’14 will clerk for the Honorable Judge Ursula Ungaro of the U.S. District Court for the Southern District of Florida in 2016. 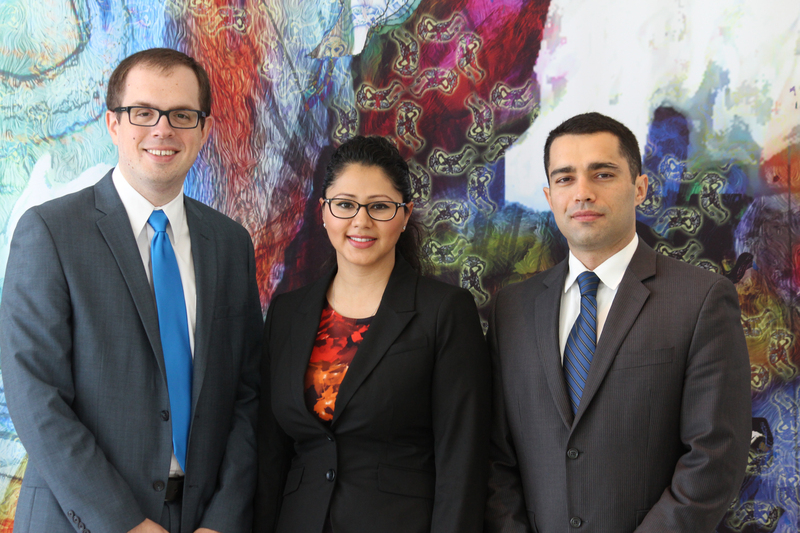 Alexander Vail, JD ’14, Truppman’s former Clinic partner, has started a clerkship in the Orlando Immigration Court. Current clinic fellow 3L Adam Hoock has secured back-to-back clerkships with the Honorable Judge Darrin P. Gayles and the Honorable Judge Paul C. Huck, both of the U.S. District Court for the Southern District of Florida.